I created this illustration a while back with acrylic and watercolor paint. This illustration is less graphic than my earlier Humpty Dumpty illustration. 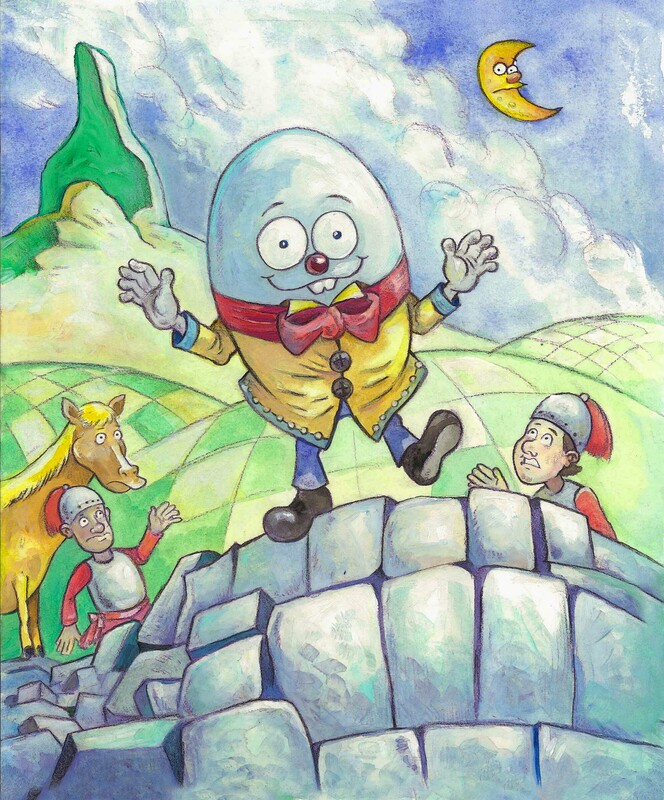 I have come to believe that Humpty Dumpty has particularly poor judgement. This is my entry for this week’s Illustration Friday word of the week. The word of the week is, “Secret”. This Ninja cat is on a secret mission. 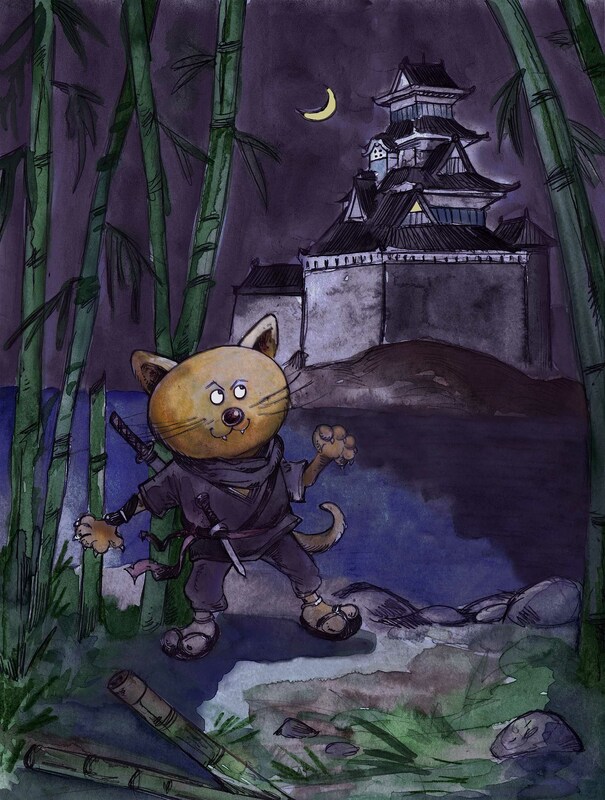 I would write more about the Ninja’s mission, but it is a secret undertaking! Here is an old illustration I finished with oil paints. 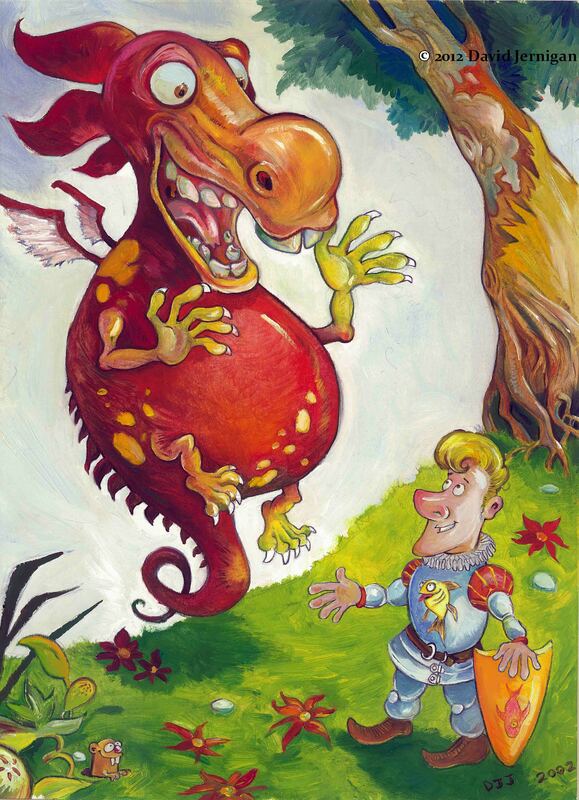 This friendly dragon painting was created during my oil paint obsession days. It is hard to work in oils because of the time it takes, but the result is very satisfactory. This is a colored version of a sketch from my visit to the Monterey Bay Aquarium in California. 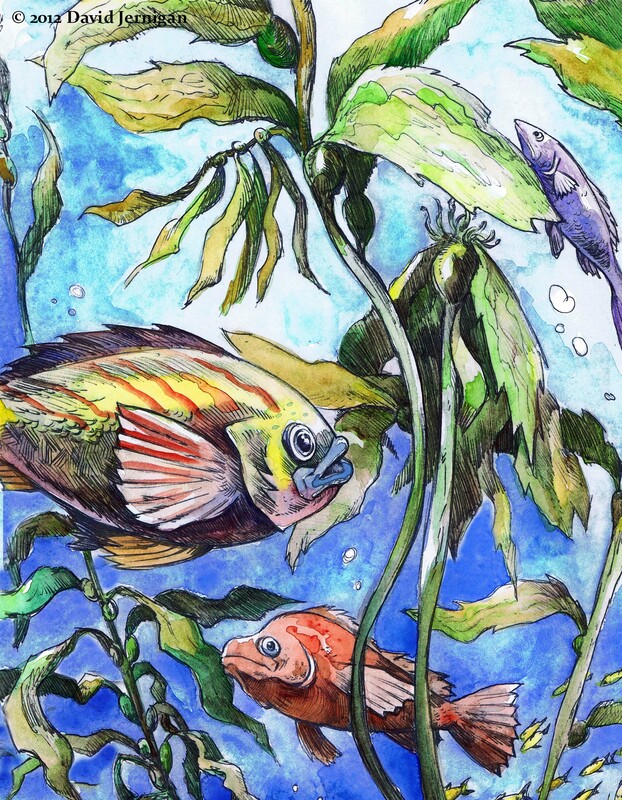 The illustration is created with watercolors, pen and ink. The underwater kelp forest exhibit at the aquarium is amazing. While I was there, I sketched some of the fish as they hovered and swam through the kelp blades.